CLIA,The Cruise Lines International Association, held its 2015 Port & Destination Summit in Hamburg in September, It was attended by more than 200 delegates from its Executive Partner and Cruise Line Membership, building on the platform established from its first Summit in 2014. In 2018, it was attended by 300 cruise line and executive partners, thanks in part to David’s engaging conference sessions. 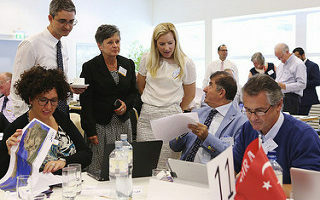 This particular event was supported by 40 cruise line decision makers working in the areas of itinerary planning, shore excursions and port development, representing 23 diverse cruise brands. Over 160 Executive Partners from around the world, representing ports and destinations, airlines and tour/port agents came together to exchange ideas, network and learn about the latest developments in the industry. 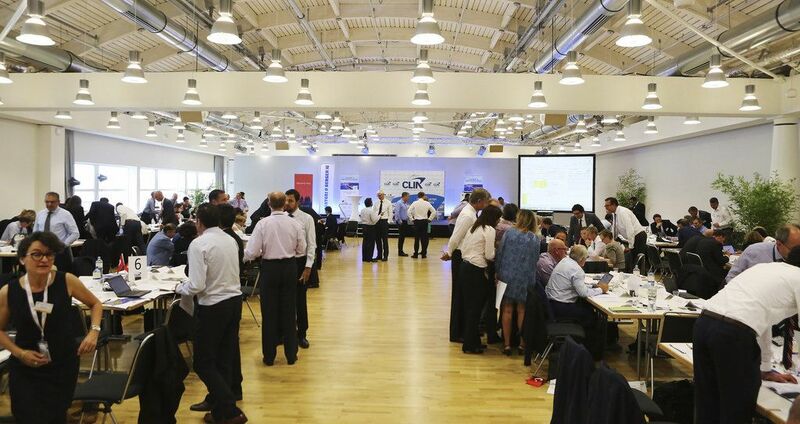 A major part of the day was the Interactive Itinerary Planning Workshop Exercise created and run by Travelyields’ David Selby which pitched 20 teams of up to 10 delegates against each other to create the best cruise itinerary in the time allowed. Christened “To Call or not to Call…”©, teams competed to score the maximum number of points by creating a 7 night Mediterranean itinerary that simulated destination appeal for guests, shore excursion revenue for cruise lines, port cost and berthing policy, shipboard revenues, speeds between ports and even the odd natural hazard. 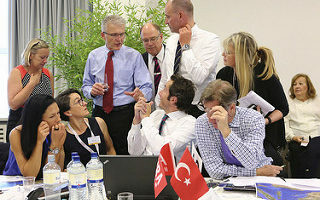 As well as bringing people together, the exercise was created to give Executive Partners an understanding of the constraints cruise lines have to work with, and why ships cannot call at every port. David has now worked with CLIA at events in London, Miami, Shanghai, Lisbon and Hamburg. A brilliant exercise, really well prepared and executed. There was high energy in the room with intense competition between the different teams. Adam Sharp, Chairman CLIA Europe Port & Destination Committee and Head of Port Operations and Guest Services, UK, N Europe and ME, Royal Caribbean Line (RCL) Cruises Ltd.
For me, it was the team interaction that was great. I had a great team and we worked really well. It was a great learning exercise that I thoroughly enjoyed. Sandra Diana Bratland – Managing Director, Cruise Norway. We travelled 25,000 miles there and back to be at Hamburg, and we thought David’s “To Call…..” was one of the highlights of the week. 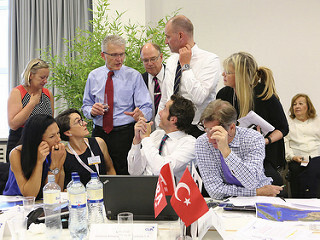 The feedback on the Port & Destination Summit in Hamburg was extremely positive and it was obvious that Travelyields – through preparation, sense for detail and innovation of the Itinerary Planning Workshop – made a massive difference for all participants attending.